The best part about Christmas in July is that it gives you the opportunity to get super organised for Christmas (you know, the real deal December one). Fruit mince takes about a week to soak before its ready to use but once finished it lasts for ages so make some this July and have one less thing to do for Christmas this year. 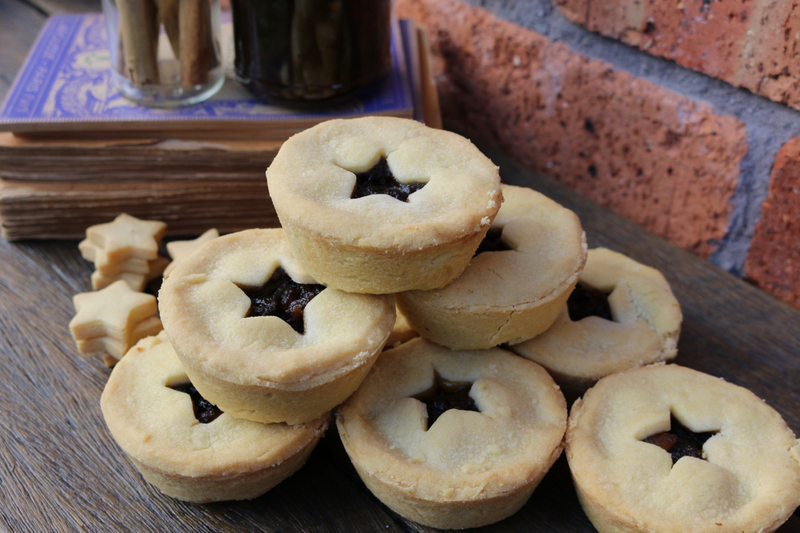 Traditionally fruit mince was made with actual mince meat and dried fruits with citrus peel. Over time the recipe developed into one that relied only on the beef suet without the meat. Our recipe uses duck fat for a silky filling that is silky and decedent. Wash and dry the apples, making sure to get all the way coating off the skin. Grate the apples, skins and all. Pop the grated apple into a large mixing bowl. Add all the reminding ingredients to the bowl and give it a good mix together. Transfer the mixture into an airtight container and secure the lid tightly. Open the container every couple of days and give the mixture a stir. After a week you will see the mixture has changed, the liquid has thickened and the apples will become translucent. When the mixture develops into a sweet sticky sauce, it is ready to use. leftover mixture can be stored for months in sterilised jars (even longer in the fridge). I store my leftover fruit mince in food saver bags, storing it this way will give it a shelf life of 12 months or more.